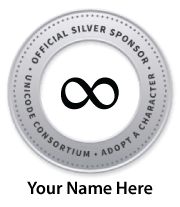 The Unicode Consortium is announcing changes to membership fees and categories. These changes include both the addition of a new membership category as well as a periodic adjustment of membership fees for inflation. These fee changes put the Consortium in a stronger position to continue its mission to enable people around the world to use computers in any language by providing freely-available specifications and data. Note also that a new category for Supporting, non-profit has been created. All other existing non-profit and individual memberships will have no change. Existing members may renew their membership early at the current fee if they renew by May 31, 2019. The Consortium also offers lifetime memberships to individual members. For further information please contact the Unicode office.